Premonitions of the Fall (in temperature) | Watts Up With That? The frequency of the southwest wind at London is shown by the solid line. A tentative forecast (broken line) is made simply by moving the whole curve 200 years to the right, i.e. the forecast implied by accepting the apparent 200 year recurring oscillation shown by the series. “More recently, the world has enjoyed an agricultural boom during the past 70 years or so. The Earth’s annual average temperature has risen by about 1 to 1½ degrees, about as much of an increase as the decrease during the Little Ice Ages, during this interval. The remarkable thing about the Libby and Pandolfi prediction is that they got the fine detail right, up to the current day, which gives a lot of credence to their projection for the next fifty years. 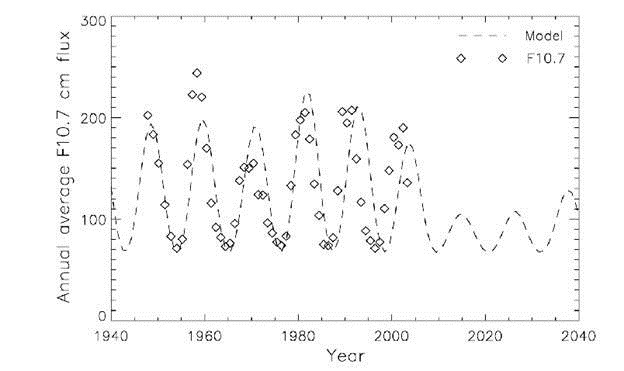 Clilverd predicted that Solar Cycles 24 and 25 would have amplitudes similar to that of Solar Cycles 5 and 6 of the Dalton Minimum before a return to more normal levels mid-century. Libby and Pandolfi provided timely warning of the current cooling more than thirty years ago, through the proper use of tree ring data. Given the enormous societal and financial consequences of that cooling, it would be good application of climate research funds to have a number of groups replicate and update the Libby and Pandolfi work. Weiss, I. and Lamb, H.H. 1970 ‘Die Zunahme der Wellenhohen in jungster Ziet in den Operationsgebieten der Bundesmarine, ihre vermutliche Ursachen and ihre voraussichtliche weitere Entwicklung, Fachlich Mitteilungen, Nr. 160, Porz-Wahn, Geophysikalisher Bertungsdiesnt der Bundeswehr. Looks about right and agrees with our prediction too. Interdisciplinary work on this could be fruitful. That’s probably why it is discouraged in the climate field so far as any astrophysics is concerned. It would be quite ironic if the very things globalwarmists are trying to get rid of are the very things which prevent complete freezing. It is supposed to cool down anyway since the Modern warming like the THREE previous warming periods last around 350 years and this current warming is about that old already. The fine detail? a quarter of a degree fahrenheit isn’t the same as .7 degrees Celsius. But! But! Even if the global temp falls by 4 C, we still are hotter than we would have been because of ACO2. Don’t you guys know anything??? E M Smith (ChiefIO) had a post a few years ago about bond events: So what is a Bond Event? They are abnormally cold periods that happen about every 1470 years. We are likely headed into one now, IMHO. The only question is about whether or not the “Little Ice Age” was a Bond Event. E.M Smith goes into further detail as to why he thinks it was not in his thread Intermediate Period Half Bond Events If Smith is correct about his timing then we are facing another Bond Event. Here we go again. Is there no end to wriggle matching? The null hypothesis: The oceans circulate a HUGE amount of various oceanic conditions as Earth cranks the wheels of the overturning ocean circulation, the educated guess being around 600 years, more or less, for a complete cycle of one pool of water making it back to its starting point. The overturning ocean circulation brings bottom water up to the top in an entirely different spot on the globe, and top water down to the bottom, also in an entirely different spot on the globe. The condition of that top water is then affected even more by Earth’s atmospheric oscillations as it rides the circulation on the top, letting in more or less shortwave radiation from our Sun into that top layer. Those conditions, the top layer of the oceans and atmospheric conditions, create whatever weather we have and is the source of both short and long term oscillations. Eventually, that top layer, along with its weather patterns, will sink to the bottom, waiting its turn to rise to the top to live its life again in a new but related generation. Almost like the seasonal change between Winter and Summer, but on much longer time scales. In Winter, it hybernates at the bottom. In Summer, 100’s of years later, it rises to the top and blooms forth with weather patterns and variations, similar too, maybe, but not an exact duplicate of its parent. Solar variations don’t have nearly the energy our variable oceans and atmosphere have in creating the conditions we feel. Solar variations, in all its forms, are buried in the extremely energetic noise of the intrinsic factors of an active planet. CO2 rides on the coattails. Solar variations can be considered a constant. Conducting research similar to Eddy’s, Russia’s Eugene Borisenkov** discovered a quasi 200- year cycle of global cooling during the past 7,500 years that correlates to times of sunspot minima similar to the Maunder minimum. We better pray that the Warmistas a correct, we may need all of the Global warming we can get. Well, that is certainly a real doom to worry about. Interesting, but with tree rings involved, I’m more than a tad sceptical! The work by Lamb, is more interesting. We’ve had more than our fair share of Northerly winds, as of late. Ridiculously cold again today, for late May! man…right now those predictions look VERY prescient. i am curious to see if the next El Nino provides us with a new “hottest” year or if we have already begun our descent. The Libby and Pandolfi article is a great find. Do you have a link to it? If this comes to pass, the citrus groves of central California will be a thing of the past. Thanks for all the work you do. Sincerely. It’s perishing cold here in North Yorkshire. Heaven help us if there is cooling. You’re gonna need a bigger coat. One thing I noticed right off was the leveling of temps prior to the major fall off and that it lasts about 15 years… we have had our Oceanic reserve giving us heat back for some 15 years now. It is waning and now comes the rapid fall into cooling.. If they are correct were about to have one hell of a ride down the slope. Geochemistry, Santa Monica, CA, U.S.A. In four modern trees, hydrogen and oxygen isotope ratios track the modern temperature records. In a 2000-yr sequence of a Japanese cedar, there are the same periodicities of variation of D/H and O18/O16 as have been found in O18/O16 in a Greenland ice well. The same periodicities are found in uranium and organic carbon concentrations versus depth in a sea core from the Santa Barbara Channel, and in carbon-14 variations in a sequence of Bristlecone pine from southern California. In a 2000-yr sequence of Japanese cedar and in a 1000-yr sequence of European oak D/H and O18/O16 are related to each other by a slope of 8, just as they are in world-wide precipitation. In a 72-yr sequence of Sequoia gigantea, measured year by year for its oxygen isotope ratios, the 10.5-yr cycle of sunspot numbers found, but not the 21-yr cycle of sunspot magnetism; this we believe indicates that the sun is affecting the earth’s climate with non-magnetic particles, probably photons. All these phenomena are related to periodic changes in sea surface temperature caused by periodic changes in the sun. Thanks for the recommendation of “Past Climates- Tree Thermometers, Commodities, and People” by Leona Libby. I just purchased a used copy on Amazon for 30 cents! The last time it happened was in 1953. There’s a legend about a seven year winter in ~1700 – allegedly it snowed in August for seven years. Thanks for the very clear post Dr. Archibald. It may happen, or not. I don’t really believe any predictions of disaster nowadays, whether warmist or coolist. Basically, “nobody knows”. Which is what makes the warmistas so annoying, amongst other things. Do I detect a bit of a ‘cut off your nose to spite your face’ attitude amongst some AGW sceptics? “Wait until you’re all crushed under the coming mile-high glaciers, that’ll teach you warmists! Nyanyanyanyanya.” This is too reminiscent of some of Phil Jones’ oft-quoted sick remarks (though in the opposite direction, of course). I wish H. Lamb was still around. It sounds like he had more common sense and more ‘feel’ for the climate in his little finger than…oh, you know them all. I always thought the phrase was ‘wiggle matching’. Wiggles are random curves in a line. Wriggling is what you do when a naughty bit comes on the telly and your gran’s there with her knitting…. and there’s an end to that when your gran’s dearly departed and naughty bits come on the telly more regularly than the ad breaks so nobody’s bothered any more. The nice part about all of this is that over time, it is testable. You may see warmists jump onto something like this. They now have an explanation for the halt in warming. They will claim that a lack of significant cooling means the warming has only been held back for a few decades only to return even stronger when this cycle ends. This is now an even greater problem as data is lost, records terminated or truncated and proxy reconstructions perverted by rewriting history for a political agenda. Lamb foresaw the potential architect for this diversion in the person of Tom Wigley who took over as director of the CRU. In my discussions with Lamb he said he felt his lack of computer skills was limiting. He hired Wigley to fill that gap at the CRU. He learned quickly it was a mistake. Here are his comments from the autobiography. The loss of this project underscores the problems Lamb anticipated because it is from such studies, Lamb recreated without the Rockefeller money, which is the basis for the material in Archibalds comments and Libby and Pandalfi’s predictions. Lamb identified the problem with Wigley’s appointment and ultimately with the IPCC. Wigley was instrumental in the application of computer models but as Lamb knew they were only to be as good as the data on which they were built. They were and continue to be a disaster, while Lamb’s work and the studies it engendered proves prescient. The predictions Libby and Pandolfi made are based on Lamb’s work with midlatitude cyclonic and wind patterns. Wind remains one of the essentially overlooked components in climate studies. Hans Jelbring recognized this, but like any who knew and dared question what the IPCC were doing were subjected to attacks typical of politics rather than the open discourse essential to science. Well done David for bringing all this to people’s attention and Anthony for providing web space as we try to repair the damage the IPCC, its founders and disciples have done. Maybe wriggling is the word I want (but you are right). Wriggling around for a solar wiggle connection seems to be the popular pasttime of many. I will continue to remind one and all that the null hypothesis is tied to natural short and long term noisy, oscillatory intrinsic factors related to a very active and highly variable planet. It holds by far and away the greater amount of energy necessary to drive temperature trends up, down, and everything in-between for short, long, and longer term periods. The sad part has been the amount of money that has disappeared down the toilet in search of anything and everything that would disprove the null hypothesis before we have completed even the most basic research that would help us understand short, long, and longer term natural variation. Can tax payers go on strike? ** Temperatures are flat – indeed once really rural locations are taken (not airports or towns) the atmosphere may be getting cooler _and_ with reduced humidity that means energy loss not trapped. A more definitive test is that the oceans are not warming. So we are close if not past the tipping point where it should all be running away irrecoverable hot yet – as Trenberth would say: ‘where’s the heat?’ . All that extra heat is being trapped we are told repeatedly its basic physics. Claiming that all of a sudden vast quantities of heat will leap into being is NOT basic physics its religion. I keep hearing on The Weather Channel that this (2011-12) winter was the warmest since records have been kept (1895). Is this true? Is it true for the entire USA – for the whole northern hemisphere ? I thought Alaska had areas of record snow fall. Hundreds died in Eastern Europe of hypothermia due to record cold. And I saw a picture of snow in Rome! Where was the warmest winter on record? Yes you do. I’ve long bemoaned the fact that I must relcuctantly chear for every sign of cooling to put the warmists in their place, despite believing that warmer = better. But that sword cuts both ways. The warmists cheer every sign of warming to vindicate themselves, even though they believe that warming = disaster. Given that they believe warming = disaster, one would think they would be happy to be wrong. Instead they are angry. But at day’s end, while I think the signs that we are entering a cooling period are clear, I’m not all that alarmed. We’re humans. We’re tool users. We solve problems. The coming cooling period would have to be remarkably swift and dramatic (unprecedented!) to pose any real threat to us. Unless of course we were to turn our destiny over to the shrinking violets that will quickly dump their warmist hats and don ice ageist hats instead and continue to try and use the threat of impending doom to grasp for power and send us back to the stone age on the same faulty reasoning they use to prevent warming. Their ilk care not one whit what excuse they use to rule us for our own good, they’ll change horses in a heartbeat when they see better opportunity to push their “we know better just do as you are told” agenda using a different apocalypse to instill fear. I was in high school in the 70’s when the last ice age scare rolled through. Survived that one, and unless someone makes it impossible for uso heat our homes, for modern agriculture techniques including heated green houses to be employed, for genetic engineering to produce crops that thrive in shorter/cooler growing seasons, and so and and so forth, we will be just fine. Pamela – the principle of liberty is that you don’t have to ask for it. so, in your case, no, you may not go on strike. lol. Bond events are North Atlantic climate fluctuations occurring every ≈1,470 ± 500 years throughout the Holocene. Eight such events have been identified, primarily from fluctuations in ice-rafted debris. Bond events may be the interglacial relatives of the glacial Dansgaard–Oeschger events, with a magnitude of perhaps 15–20% of the glacial-interglacial temperature change. Gerard C. Bond of the Lamont-Doherty Earth Observatory at Columbia University, was the lead author of the paper published in 1997 that postulated the theory of 1,470-year climate cycles in the Holocene, mainly based on petrologic tracers of drift ice in the North Atlantic. The existence of climatic changes, possibly on a quasi-1,500 year cycle, is well established for the last glacial period from ice cores. Less well established is the continuation of these cycles into the holocene. Bond et al. (1997) argue for a cyclicity close to 1470 ± 500 years in the North Atlantic region, and that their results imply a variation in Holocene climate in this region. In their view, many if not most of the Dansgaard–Oeschger events of the last ice age, conform to a 1,500-year pattern, as do some climate events of later eras, like the Little Ice Age, the 8.2 kiloyear event, and the start of the Younger Dryas. But this should not lead one to exclude extrinsic factors, because then you have the omitted variable problem which results in meaningless models. We can’t even predict the ENSO cycle which phases in and out of the annual cycle and may be 2 or 3 years long, depending on ?. Then checked out the current daily graph of temps for various lower altitude channels, with all the check boxes filled to see all the past years. It appears that May 2012 is so far proving to be a relatively cold month compared to last ten years. A key thing someone should do is create one ultra-effective web site that would serve as the main hockey stick rebuttal reference point (for our arguments). This site needs to be layman friendly, and done with Madison Avenue insight. It should have up front the concise basic arguments, with graphical and video support, and also be further supported by more detailed and technical click through layers (go from basic, to more detailed, to very detailed, to the raw data etc…). In the past I’ve said that the h stick has been debunked, and have had the warmists respond with “no it hasn’t” OR “Yes, but other temperature reconstructions show the same thing [the hockey stick curves].” The debunking of the hockey stick means that the temps that the graph portrayed never happened. You can’t just fabricate another “non hockey stick” reconstruction to show the same bogus temp record. 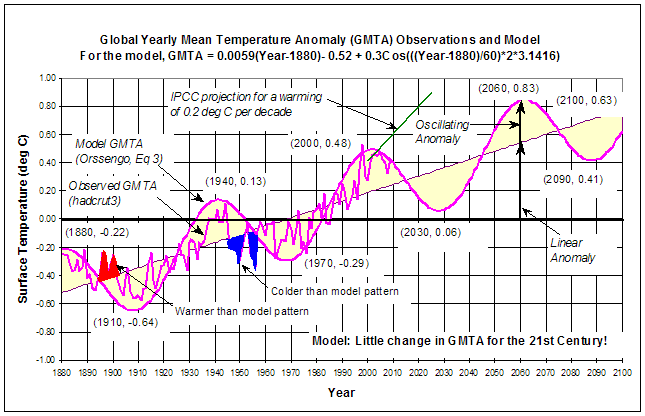 The reason why it’s important — in creating a website to counter the hockey stick — to pull out all the stops, to spare no resources (when available), to call upon all the king’s horses and all the king’s men on this… is because with the h stick out of the picture, the global warming theory is sunk. I argue that CO2 has a negligible effect, but with the hockey stick debunked then the question about CO2 is moot. CO2 cannot be doing what the doomsayers say it is doing, because the temps are normal and natural. If temperatures and climate are not usual in any way, and the rates of temp change have not changed despite heightened CO2 levels, we don’t have a climate problem, and CO2 has nothing to do with the climate. So, with no problem to solve… don’t try to solve a problem. With the h stick decisively definitively debunked (at 1 key reference-able place), you can argue about CO2 until the cows come home, but the fact is that the climate is fine, and so, thus, there is obviously something that the fear-mongering greenhouse gas theorists are missing. We don’t need to know what exactly they are missing, but they are missing something. There is no other logical conclusion. The planet has been warming since the Little Ice Age. That being the case, one would expect that the last few years would be the warmist “ever”. That doesn’t mean CO2 is causing it, nor does it mean that anything catastrophic is happening. No-one else has bothered so I thought I might. The 0.7°C figure comes from adjusted data. There is empirical evidence, although not definitive because of the AGW shenanigans, that the increase may be only about 0.4°C. matt, go down to mill valley lumber and see the old redwood slice with various historical incidents marked, such as the discovery of america by columbus in 1492. I predict that the CET average maximum temperature for the month of December will be between 3 and 4 degrees Celsius this year. It was 8.7°C last December. The minimum will be about -2°C. cowan said the weather channel was saying it the warmest “evah”…. In Switzerland 2 days ago it snowed at 800m. In the newpapers they compared this with temperatures known during 1700 period …. the ‘litte ice age’. Is this a sign ? maybe, but this time nobody said that the cold came from the warming. Media start maybe to understand that write ridiculous informations is bad for their reputation and slowly nobody will trust them anymore. When is solar max for cycle #24 expected ? Surely it is getting close. No, but you could in theory go “off the grid” so to speak: Grow your own food, build your own shelter, make your own clothes, home school the kids, get everything else you need from like-minded people bia barter (legally taxable, but difficult to enforce). You’d need your own property, and I don’t know how you’d get around the property taxes. In a 70s sitcom, a couple took the self-sufficiency route, but still had to sell surplus produce to pay their property taxes. DId you even bother giving the post a fair read? The only thing closed here is your mind. Are you really saying the Sun has nothing to do with this? That the Earth itself in its inner working is driving all the changes in and out of interglacials in our Ice Age? If so, how? What energy do you mean here? “Ice ages should be seen on Earth as the norm rather than the exception. That is to say that with the present continental arrangements balanced against the heat source from the sun, it is to be expected that ice ages will occur. Huge glacial fields will stretch across most of northern Europe, including the whole of the British Isles, with temperatures in the region on average some 10C (18F) lower than now. It follows from this that it requires relatively unusual circumstances to produce the necessary warmth to force the glaciers back. The answer to this appears to lie in the orbital patterns of the Earth around the sun. There are two orbital features of the Earth, its elliptical orbit, and the tilt of the Earth in relation to its plane of orbit. These eccentricities of orbit are not constant and fixed. The Earth’s orbit changes from being almost a perfect circle to its elliptical form and then back again. This pattern can take around 100,000 years. Similarly, the Earth’s tilt does not remain fixed at 66.5° to the plane but varies between 65.6° and 68.2° over a period of 40,000 years. At present the tilt is increasing. There is a third quirk in the Earth’s orbit, namely a ‘wobble’ in its axis of rotation. This is caused by the pull of the moon and has a cycle of approximately 24,000 years. The significance of these variations is that some sixty years ago a Yugoslavian geophysicist, Milankovitch, suggested that these alternations could account for the ice age/interlgacial pattern. His argument was that only when these variations combined sufficiently to allow Summers warm enough to melt the ice sheets could the Ice Age be halted and temporarily forced back. Subsequent analysis of climatic history suggests that this indeed is what has happened in practice and that it is these orbital variations that account for our weather pattern during the present ice epoch. This theory, known as the Milankovitch model, is now widely accepted as a good explanation of the ice-age cycle, although it does not explain what may trigger an ice age, or cause the mini-cycles of optima and little ice ages. Has anyone looked at magnetism effecting interglacials? And without using any data. Gnomish – I’ve even been too King’s Canyon / Yosemite, only, it’s like 25 years ago; and you don’t typically have tree rings on your mind, redwood or otherwise 🙂 It is very soft, almost ‘fluff’, so at least it seemed possible to me. But I do believe there are trees that don’t feature rings – maybe I just got it mixed up? I tried to grow some sequoias myself, but so far, nothing poked through the ground, maybe it’s too early in the year still.. Bond Event Zero? Tipping points? And for all intents and purposes almost the entire discussion would appear to indicate perturbations one way of the other in an endless Holocene. And why wouldn’t the Holocene be the first endless interglacial? Maybe because 5 of the last 6 interglacials have each lasted about half a precession cycle? It’s as if we are arguing over the roughness of the road while we are speeding to the edge of climate’s biggest cliff. There are some things you just don’t talk about at party’s…….[SNIP. -REP]. So, tipping points. Based on the end of the Younger Dryas, the Holocene this year is 11,715 years old. We are at the long end of the precession cycle at 23,000 years, so, eerily close to half a precession cycle old right now. And at the ripe old age of a Bond cycle. The sun has gone all quiet on us, GCR flux is noticeably up as a result. And Europe has had 3 back-to-back slightly chilly winters. North America dodged the last one due to a weather/climate anomaly. The PDO/AMDO cycle gone negative yet again……. Would it be a leap to suggest that about all it would take to make a perfect storm is a massive eruption somewhere? So be ever thoughtful of both facts and predictions before leaping to a conclusion. It was in fact a LEAP that terminated the last interglacial, the cold Late Eemian Aridity Pulse which lasted 468 years and ended with a precipitous drop into the Wisconsin ice age. And yes, we were indeed there. We had been on the stage as our stone-age selves about the same length of time during that interglacial that our civilizations have been during this one. So, Bond Event Zero (following on from the excellent links to the musings of the Chiefio [E.M. Smith] Gail Combs provided, and which all of you should have a read) or Glacial Inception Zero? “The onset of the LEAP occurred within less than two decades (see the core photograph in Fig. 4), demonstrating the existence of a sharp threshold, which must be near 416Wm22, which is the 658N July insolation for 118 kyr BP (ref. 9). This value is only slightly below today’s value of 428Wm22. Insolation will remain at this level slightly above the inception for the next 4,000 years before it then increases again.” Sirocko, et al, Vol 436|11 August 2005|doi:10.1038/nature03905. It all does seem rather like a grand intelligence test doesn’t it? The Japanese went nuke-zero after their recent tsunami. The Germans, also worried about tsunamis, are going nuke-zero too. The US will kill it’s coal generation and hasn’t built a nuke since 3-mile-island. The obviously more intelligent amongst us are still feeling all warm and fuzzy about thwarting Keystone XL! It’s brilliant because since Americans won’t be burning it, it will not ever be burned. That is until after the Canadians pipe it to coastal BC, tanker it across the Pacific and the Chinese burn it. You really do have to keep your eye on those peas folks. But it might actually be OK. This may be more of an intelligence test than we bargained for. International intellectuality above, and as many examples as others may wish to provide, would tend to suggest that a braincase capacity increase might be useful in the near future. Unfortunately, H. sapiens sapiens isn’t actually due for it’s next hardware upgrade for another 200,000 years! state Trauth, et al (2009) in Quaternary Science Reviews. There is just nothing quite like having such a natural fly land in your climate change soup. As it turns out, periods of wet maximum climate variability (in modern lingo, global warming correctly re-branded as climate change), cook up the larger braincases. We went from 500-550cc braincases 2.8 mya to the average of about 2,500cc today in the most rapid encephalization of any mammal in the fossil record. Since we are at an eccentricity minima now, the next maxima (hardware upgrade window) is two glacial/interglacial couples in our future. This time it’s going to be up to us, to either make it there, or cause it ourselves this time. And look how we can tip this too. E15 or E85? What, a third of our domestic corn crop this year will go to making go-juice? Paralleled by food issues in 3rd world corn or maize staple cultures. And we all know how good AK-47s are as tipping points……. My father told me that his grandfather told him to “always keep your guns clean and your ammo fresh”. I couldn’t help but think of this while reading E.M. Smith’s discussion on the rises and falls of climate/civilization. Just imagine the hubris involved in the same people coming up with the notion that the next ice age is imminent (Hansen may have been prescient here) during the last PDO/AMDO negative cycle, then AGW during the last positive PDO/AMDO cycle, the cycle itself unknown until described in 1996, IN the last positive cycle. And that’s just the tip of the many “icebergs” that have been floated. You write much of Hubert Lamb-I also frequently refeence him in my articles, such as this one where I compared the temperature reconstructions of Lamb and Mann . He was a great scientist who, perhaps because of his lack of computer knowlege (and he was active in their very early days) was very painstaking in his research in archives, documents and libraries. I have suggested in the past that we ought to have a cash collection and send a set of his books to the ten most influential modern day climate scientists in the hope they might learn something. It is that Norman Lambs son is now ‘owning’ minister at the Met office. The research that is desperately needed to balance the rampant warmism and reach the eyes of officialdom can probably only be done by an existing governmental organisation with large budgets and state of the art resources. As a regular visitor to the Met office archives and Library it is obvious that not everyone there believes implicitly in the line being taken at the top by such as Julia Slingo. Can I suggest therefore that if someone of good will -such as Richard Betts- can be ‘persuaded’ by someone influential having a quiet word with Norman Lamb, it might be possible to institute a transparent series of studies by them that can look at the consequences of the evolving climate and the concerns that many of us have that we are facing in entirely the wrong direction and it is cold we should fear, not dubious warming. I do worry that we seem to have a highly elaborate Plan A but no plan B whatsoever. The Libby and Pandolfi projection is well past its sell by date. Good prediction of short term solar variables that are responsible for most monthly/weekly temperature deviations from normals can be achieved for decades ahead with a deterministic method. I’m with Pamela. Whenever I start hearing about 200-year cycles and such, my skeptic side starts to kick in. Based on intuition and lacking a degree in the sciences, it just seems it has to be more chaotic than that. 200 years in the lifespan of the sun is little more than nothing in time. That the sun would be keeping such a schedule seems unlikely to me. I’m guessing that nothing in the universe is as neat and tidy as we imagine it to be. 1. Here is a link to a chart by the NWS showing daily temps with respect to the “normals” and records for Yakima, Wash. May 2012 is on the upper right and it shows our summer was from May 12 through May 17 – current forecast is for rain and cooler. 2. Note that the (Libby/Pandolfi 1979) variable studied was “oxygen isotope ratios” by year and not tree ring width, and the trees were “Sequoia gigantea” and not “Sequoia sempervirens” (aka redwoods). “Pamela – the principle of liberty is that you don’t have to ask for it. Nearly half of USA citizens have sold their freedom in exchange for ‘free’ healthcare, unemployment ‘benefits’, and a myriad of other welfare programs, all funded by redistributing the wealth of taxpayers to those who consume taxpayers wealth. The socialist redistribution of wealth provides the majority of funding support for the many headed AGW hydra as well! The AGW proponents have just as effectively sold their scientific souls! No, the adult taxpayers can not ‘go on strike’. But we can strike back! November is a just a short 6 months away. Let’s put adult tax payers with private enterprise experience in as many offices as possible, with the clear understanding that their purpose is to enforce fiscal discipline, reduce the size, expense, and debt of government, and restore free market allocation of resources (people, money, equipment, and natural resources). You said “Pamela – the principle of liberty is that you don’t have to ask for it.” True, gnomish. You don’t have to ask for it. You have to fight for it! If you don’t, your freedoms are ceded. Every generation has to fight for it, to sustain it! WUWT is one expression of that fight. The attempted ‘recall elections’ in Wisconsin are an expression of that fight between socialism and freedom. The #occupymeh movement and the anarchy they advocate are an expression of that fight. The roiling economic and cultural turmoil across the length and breadth of Europe are expressions of that fight between socialism and freedom! November is a scant 6 months away. Prepare to fight for your freedom….. and win! That’s the IPCC argument. Piers Corbyn would argue that it is the combination of solar particles and solar-lunar electromagnetic influences that leads to a controlling influence on Earth’s weather patterns. So the argument turns into one where a relatively minor amount of energy from the outside shapes and modulates the “extremely energetic noise of the intrinsic factors of an active planet”; exploits it like a potential that has build up and decides how and where the potential is released. An argument that I find very promising. Thank you for this invaluable historical perspective. It appears that Lamb immediately figured out what these people were up to. It’s not an exaggeration to say his kind of climatology, i.e. climatology with scientific integrity, fell victim to a bad idea whose time had come. Some want us to believe that the ravages of man have marred & scarred an abused Earth to the point where she is so disfigured & hideous THAT WE SHOULD NOT EVEN LOOK AT HER NATURAL FEATURES. Careful inspection reveals that she remains a STUNNING natural beauty. Some of you may think you’ve seen that graph before. You have NOT. It’s a brand new graph using different methods. The OBSERVATION ((this is NOT abstract theory)) is PATENTLY ROBUST. Like the kid in the video (perceived as supernatural and witch-hunted) the weave is INDESTRUCTIBLE (see how the video ends). In a move of ruthlessly aggressive desperation, resort to data vandalism of an unconscionable nature. Skepticism is a good, healthy response to hearing new, challenging information. Close-mindedness, not so much. The way to tell the difference lies in one’s willingness to delve into things more deeply, as opposed to immediately rejecting it. Don’t be too hard on our fiery Irish lass. We are all here seeking truth, as best we can. I understand the theory behind Milankovitch’s suggestion that an eliptical orbit could be the trigger for large scale glaciation. I am not focused on large scale glaciations in my treatise on temperature trend drivers. However, even those much longer cycles are ALSO an intrinsic factor entirely Earth bound. It’s oddly configured trip around the Sun and its strange wobble in the tilted spin as it turns about its axis is the theorized effective mechanism, not solar output. 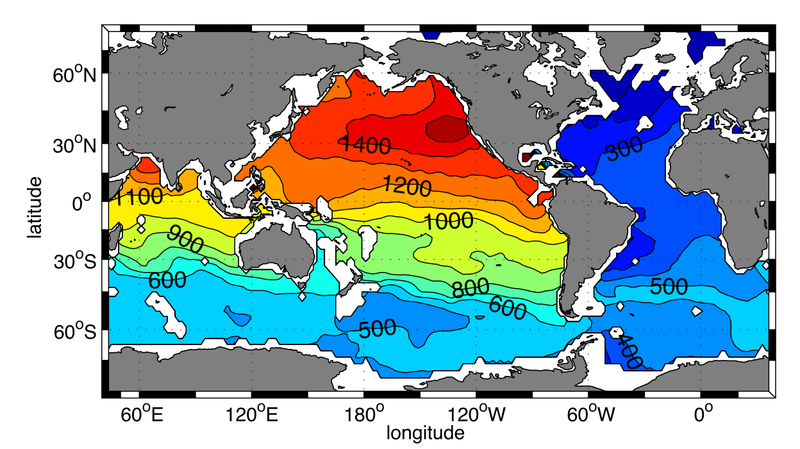 As for energy, SW radiation is the energy used to warm the oceans and land. Greenhouse gases keep the air warmer than it would be without them. Earth’s atmosphere, a thick, soupy, swirly entity not well mixed and rather leaky, lets the Sun’s IR hit the surface at various amounts of power. Thankfully, our RELATIVELY steady Sun tops the heat tank as much as is allowed by our tempermental atmosphere. Again, the null hypothesis, and where our research dollars should be going, is that Earth’s instrinsic systems create these temperature trends. The sorry state of research leaves us with this condemnation of our misguided endeavors to find some kind of extrinsic or human driver: we really don’t know much about the intrinsic overturning circulation or our crazy atmosphere and we should be studying both (read “basic” research) at every University equipped to do so before we step out into other areas. As you can see from the CIA document, the world was very much concerned about a COOLING climate in the 1960 and 70’s. Those of us old enough to have grown up at that time are aware of the true facts. We have had a re-write of history since then to make it appear that no such events took place. I hear time and time again from young people that global cooling in the 60’s and 70’s was regional. However, the CIA document makes it clear the cooling was global. If we are indeed in for another cooling as took place 60 years ago, with the population more than doubled in that time, the famines of the 60’s and 70’s are going to look mild in comparison. See the following three negative slopes since January, 2002. No, the Sun is not likely one of them. 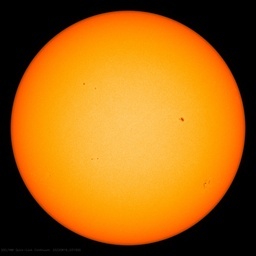 So far, no measures of solar output variations can be used to describe solar influence as being “likely”. This is in large part due to the focus on TSI to describe the Sun’s effect on climate. Since the TSI does vary much, the sun cannot play much of a role in climate. Any amateur radio (Ham) operator can tell you that the is a HUGE change in radio propagation within the solar cycle and from one cycle to the next. Any by HUGE I mean HUGE. This is a direct measure of the sun’s effect on the earth’s atmosphere. Completely unpredicted by the change in TSI. Clearly there is something going on within the sun from one solar cycle to the next that has a huge effect on the earth’s atmosphere that is not predicted by the TSI. To suggest this has no effect on climate is illogical. If the sun has only limited effect on climate, then why does it have such a profound effect on atmospheric ionization levels? Having said that, I do agree with Pamela that we should not rule out any causes simply because the sun might look like a good explanation. That is the mistake that was made with CO2. It’s definitely colder here in NSW Australia. I lost my veggie patch two months ago to frost (that’s two months before Winter). Now that we’re right on the brink of Winter, we’re had minus C every day for two weeks straight (most frequently -5 C). It’s going to be a long cold Winter this year, with more to come by the sound of it. Here is a link to the 2500m ages from Gebbie and Huybers. You can see that the abyssal water off california is 1600 years old. One can think of the PDO as an alternation in upwelling between the eastern and western North Pacific. The bottom water for the THC is formed in the North Atlantic and the Antarctic Vortex. I doubt that anyone knows to what extent this bottom water is entrained in the upwelling, but if it is, the water upwelling in the current California PDO phase was formed during the fall of the Western Roman Empire. The Libby and Pandolfi projection is well past its sell by date. I don’t see the logic. The longer a prediction rings true, the greater its value. The prediction that is well past its sell by date is the mainstream climate science prediction that warming would continue and accelerate post 2000. What we have seen instead is very limited warming, below the most optimistic IPCC projection for what would have been possible if we eliminated 100% of all CO2 emissions in 2000. Yet CO2 emissions are accelerating under UN policies as jobs are shipped from energy efficient factories in the west to less energy efficient facilities in the east, all in the name of reducing CO2. Now we hear “warmest decade in 1000 years”. Which of course means that 1000 years ago condition were warmer, without any human CO2 production, which means that current temperatures are within natural variability. Look at the 1930’s to find a warm decade. We have seen anything like the dust bowl conditions that existed at that time. This tells us that current conditions are likely not as warm as they were at that time. 1934 was the warmest year on record in the US until Steve McIntrye pointed it out. You can adjust the records, but there are still folks that remember. Read the CIA report from the 70’s and the famine that was projected if cooling continue. The world is fortunate this didn’t happen, and the 80’s and 90’s continued the earlier warming, and agriculture boomed. We fed the increasing population due to warm weather. If temperatures start to drop there will be starvation and famine on a scale we cannot yet imagine. What would happen in our modern cities with 10+ million people if the food supply was cut off? Good basic intro to oceanic overturning circulation. If I were a climate scientist, this is where I would be doing research. And I would hope that others would be looking to the atmosphere for the other part. It should be basic research geared towards temperature, density, and pressure measurment as well as the flow of conditions from one area to the next. Ignore the last part of the linked article. It introduces the obligatory dreaded CO2 affects on the circulation patterns. By the way, the article is from a book. Oh dear, Pamela is at it again. That big shinny hot thing in the sky is moot. Yeah. Sure. I still can’t find something else in the solar system that caused simultaneous heat-ups on the inner planets. Perhaps the CO2 from my F150 and the cow farts all had such high escape velocities they made it all the way to the other planets. EIther that or those darn Martians and Venusians are sneaking in SUV’s and charcoal grills while I wasn’t looking. Fairly OT, but right now the Sun here is in complete eclipse, and the sky is dim. 7:38 am, Monday 21 May in Tokyo. “Don’t be too hard on our fiery Irish lass. “Seeking” truth? Pamela ignores truth. Her acidic spin is strictly inadmissible under existing observational data [ http://i49.tinypic.com/2jg5tvr.png – from ftp://ftp.iers.org/products/eop/long-term/c04_08/iau2000/eopc04_08_IAU2000.62-now ]. I can suggest that you consider sensibly reordering your hierarchy of loyalties to acknowledge the dominance of the most fiery lass: Nature. “Careful inspection reveals that she remains a STUNNING natural beauty. Fascinating, Paul – the checkerboard pattern repeats after 22 years (a full magnetic reversal cycle). What variable do you show? Simple temperature anomaly? The FOURTH warmest. I guess the folks at the Weather Channel MIS-read the stats. In Switzerland 2 days ago it snowed at 800m. In the newpapers they compared this with temperatures known during 1700 period …. the ‘litte ice age’…..
Luboš Motl gives a good summary and a link to the paper. That`s a recipe for keeping the money coming and never finding an answer. The trends are trends because of anomalies, and no one will ever find an internal solution to the cause of the anomalies as they are solar driven. With planetary ordered solar theory, I can see exactly what was going on month by month through Maunder and Dalton, and any high or low you care to mention through the Holocene. Clearly, changes in the solar wind speed/temperature are responsible for large short term variations in land temperatures and AO, AAO and NAO status, and are also driving ENSO phase. The only unclear factor is whether we dealing with a small signal that is being amplified by affects on clouds/winds, or whether there is any appreciable extra heat input into the system when the solar wind speed is higher. For example, when the thermosphere gets warmed up 1000 deg C by high speed solar winds, is there an increase in IR from it to the troposphere/surface ? Or the total heat at Earth`s bowshock, which can reach similar temperatures to the corona of the Sun, do we see any of that heat radiate to the surface ? I can`t say I have ever heard of either being considered. The way I see it, is that the major cycles are now well enough understood, but although the sunspot cycles are also now being shown to correlate to warming and cooling events within that I think the emphasis is out of skew – the Vostok graphs simplified show dramatic temp rises into interglacials and then a leisurely decline back into our Ice Age, what these variations in Sunspot are doing appears to be merely giving an extra boost into warm within what would otherwise be a steady decline to the ice age norm conditions, hiccups of heat and cold. It does make for a fascinating jigsaw to put all these together. “The jet stream is a river of air that flows roughly west to east across the Earth. It varies a lot season to season and year to year, and it can affect regional weather quite strongly. A dip south can bring very cold arctic air to one place while a northward kink keeps another region temperate. When the jet stream is strong it flows well and that doesn’t happen, but when it’s weak it can meander, flopping north and south in various locations. The jet stream strength and direction depends on many factors, including, of all things, ozone. The dependence is complicated, but the bottom line is the jet stream is weaker when there’s less ozone (it has to do with latitude-dependent temperature gradients across the upper atmosphere; those gradients are strong in winter and weak in summer). Ozone creation depends on UV from the Sun, which is weaker during a solar minimum. See where this is going? Weaker magnetic activity on the Sun means less ozone which means a weaker jet stream which means it meanders more, bringing cold air south in some places. It seems to me that we can tell from the sunspots cycle how hot or cold it will be on the way down in the larger cycle. The variations then would perhaps be like the Younger Dryas and Devil’s Hole anomalies, there’s something else happening, globally or locally, to give the variations on the steady heartbeat of the cycles in and out of glacial conditions which has been around for the last c780,000 years when we had the last Earth’s magnetic field reversal, and iirc we’ve had two polar ice caps since that time, before this epoch only one. Problem is, we’re being conditioned to accept the “fact” that the evil CO2 has been the sole driver of climate since the industrial revolution, that it’s able to override all other natural causes. If the cold cycle comes, it’s gonna be harder for “climate scientists” to get people to look at that increasing global CO2 level and think “warming”. And if the “warming” is predicted in the middle of a deep freeze, the people will be PRAYING for warmth, and will do whatever will get them there (such as burning lots more fossil fuels), and CO2 be damned. Their call for when “it will get really cold” was about 15yrs premature, I don`t see much value in that. Well from my analogues 2015 to 2024 looks like it will the longest cold period this century, and several poor seasons are definitely going to impact agricultural production. Some decent grain reserves would be very much appreciated in 4+ years time. John Kehr wrote a book which in part talks about the Milankovitch cycle in some detail and has stated that was are now in Autumn part of the cycle meaning the Interglacial period is almost over. He make’s a good case to show that the Milankovitch cycle is real and operating on schedule. Scroll to near the bottom where he posted charts on the procession of the worldwide cooling that came in two main phases and also the Eemian temperature anomaly. It is in later charters is where he shows that the Holocene is nearly over and that the planet has been cooling down for around 4,000 years.That each successive 1,000 years is cooler than the previous one just as it happened in other interglacial periods before it. He use a lot of charts in those chapters too. It is a darn good read! This is interesting, many of us have developed a contempt for the Climate Research Unit (CRU) since the release of the two batches of emails that exposed the extent of the rot that had set in, due to the activities of a team of climate scientists bent on owning and skewing research funding to serve their agenda. Maybe we should devote more time to working with dedicated scientists to restore the CRU, to the sort of institution devoted to science and in memory of Lamb. Encourage whoever holds the key to the rest of the as yet, unreleased emails, to release them, so we can have a final cleansing of the temple of learning, once and for all, and not to destroy the CRU, but to restore the scientific integrity of Lamb as a benchmark of honour to his lifelong work. The ultimate triumph of the lambs over the wolves of deception. Perhaps we should start a movement to bring on such a restoration, I am sure that we can come up with an appropriate title for the mission. I sincerely hope we are not facing a Bond event. It would be catastrophic for a large portion of the world’s population. Russia and China would suffer terribly, Canada would likely become barely habitable. It would be a horrible time. I’m getting some for my yard this year. Even -7 Celsius doesn’t kill the open blossums. Talk about a tough plant (and tasty fruit as well). Thanks to David once again for the warning. We, in central MN, are in our second year of serious gardening, and putting food by, purchased a superior light-table to get a jump on our abbreviated season. Fortunately the 2012 winter drought ended with normal spring rains and McCabe, 2004 seems to forecast acceptable precipitation whatever befalls the high plains, south and south west. Pity the poor Left Coast Luddites. A brief reconstruction of key charts in Archibald’s “Solar Cycle 24: Implications for the United States” (2008). This leads me to speculate that ice ages could be linked to a combination of oceanic circulation cycles and solar activity – if the cold ocean water surfaces at the same time as a solar grand minimum there is a perfect scenario for dramatic atmospheric cooling which in turn leads to precipitation and if that precipitation freezes on land we have a negative feedback from albedo to add to the mix of the cold ocean cycle an and possible solar influence via Svensmark GCR cloud seeding aerosols in the extended solar minimum – we live in interesting times and have a wonderul opportunity to learn about how our climate works ahead of us. I hope i’m gone before the next ice age though! Lamb took a past record and spliced it onto a current record by wiggle matching the humps. People like that method because they like the answer. In mann used that method, folks would pitch a fit. Splicing two different proxies/instruments, with two inherently different frequency (bandpass) responses is generally regarded as a big no-no in fields outside of climate science. Especially when the splice is made in the temperature domain and temperature is the dimension of interest. Lamb’s hasn’t done this. He displaced a single data set in the time domain, not the temperature domain, to see if the data was cyclic and thus suitable for forecasting. There is nothing controversial about this. It is routinely done in many areas outside of climate science. The important point is that Lamb’s technique is not intended to say the earth has warmed by a fraction of a degree over X years. The technique simply says that if the past is an indication of the future, then we can expect future climate to mimic the past. What I’ve always found interesting about the tree ring data, is that it peaked around the same time as the solar maximum, and temperatures leveled off some 10+ year after. Had mann et al done their splice in the time domain rather than the temperature domain they may well have caught this and successfully predicted this. The divergence problem is only a problem if you assume that temperatures post 2000 were going to continue to increase and accelerate. However, if trees are a proxy for solar activity, not temperature, then the divergence makes perfect sense after you allow for lag due to climate inertia. The tree ring divergence successfully predicted that temperatures were going to level off. However, experimenter bias prevented this message from being correctly interpreted. Instead the assumption was made that something had gone wrong with tree rings as a prediction tool. Tree rings are not a proxy for temperature. They (plants) are a proxy for solar activity, as Herschel noted some 200 years ago. Photosynthesis is driven by sunlight, not heat. Temperature is also a proxy for solar activity, so at best trees can provide an indirect proxy for temperature. That’s a rather ridiculous and silly statement Steve – as the term splicing together isn’t really applicable to Lamb? Just replicating the past data and projecting it forward is a pretty standard way of looking at forecasting all kinds of stuff ! By direct contrast, Mann chopped and changed using selected data and grafted on a ‘more suitable’ dataset (i.e. instruments) to try and make a point – hardly the same at all…. and as to your statement ”people like that because they like the answer” – that’s even more crass, as there is no real ‘answer’ in projections/forecasts but Mann was trying to scare the world with his ‘method’…..ideological thinking at it’s worst, deliberate misinformation at best…. I see your point (I guess?) – that such a method is hardly deeply ‘scientific’ – but as you are so fond of reminding us all – thats what models are all about – in that sense, the best model ‘representation’ is of course, the past observations as they are the ‘real thing’ (assuming they are valid observations of course! – you know, not like, just one tree sample or anything! LOL). For cyclical type things, such a simple method is perfectly reasonable as a forecasting tool……especially as in this case he used ONE dataset! Mods – a post to Pamela has gone missing, posted just before my last post to Gail – please would you have a look for it? Not temperature anomaly. Basically you’re looking at normalized lunisolar-neutralized Schwabe-extent semi-annual-grain global-WIND anomalies, which inform about the equator-pole temperature GRADIENTS which drive them. The weave can be isolated from BOTH daily atmospheric angular momentum (AAM) AND daily length of day (LOD) records using DOZENS of methods. IT’S ROBUST. You can be SURE that anyone objecting to its existence is operating from a base of ignorance &/or deception. Piers Corbyn works with the event series which underpin the weave. NASA has had opportunity to be aware of the existence of the weave since at least 1997. There are clean, beautiful cross-scale connections to both interannual & multidecadal timescales. The solar wind records you use — where are the measurements taken? Mosh has told me he does not really have much time for Lamb and Parker (who gave further detail to the CET record) and is somewhat sceptical about the value of contemporary observations. He likes maths/computers and replicable data (although I often try to point out that the basic data is suspect) . That is all fair enough and I admire Mosh’s work but it is only one line of enquiry and I think that knowing about the past can tell us things about the future. Ideally anecdotal material needs to be married up to scientfic studies, when you then have a very potent combination. For example I just spent the day at Exeter Cathedral going through their records. for the period 1279 to 1353. That sort of information is interesting in itself but needs to be tied in with other information before we can say that during this period there were no severe winters. A quick google will show the reasons this was needed. So the approach of people like Lamb was extremely useful but has become unfashionable, but I in my very modest way believe that the approach of merging sciece and anecdotal evidence is still worthwhile and try to continue it in my own modest work. This is just crap and it does nothing to our credibility to reproduce this kind of rubbish. The key thing to do is look at the frequency graph and see whether the size of any of “dominant” frequencies is statistically significant. The answer is that not only are they not statistically significant but they are completely normal. In other words, draw a smooth line from the left to the right of fig 2 (a hump) … then plot a line through the lowest peaks and through the highest peaks (you’ll get a crescent) and then see if anything at all pokes through. ANSWER: nothing at all is abnormal. It looks like pure noise. Completely natural & random variation. This is a lot of hullabaloo about noise. In other words: this graph has zero predictive power. Or to turn it around these researchers haven’t a clue what they are talking about. It is the same standard statistical nonsense as Mann’s Hockey stick. More apt, it is the same statistical nonsense as the Boeker paper that invented “global warming” … again this was a frequency analysis by statistical incompetents who thought a bit of noise was some kind of cycle. What is it about Fourier transforms that turns scientists minds into jellies and make them statistical morons? A graph showing frequencies is no more difficult to analyse statistically than any other graph, but as soon as it gets transformed “scientists” think there is some kind of magic that allows them to throw out the rules of statistics. Before these idiots report this kind of nonsense, they have to answer the question: are any frequencies statistically unusual. If as this case, they are entirely within the range of all other frequencies, then they are either total incompetents for reporting this or fraudulent. 2. Using Fourier transforms to “discover” cycles. No folks. Fourier transforms do not discover cycles, they create cycles. The technique is simple: take random pink noise, convert it to the frequency domain, throw away every bit of signal that gives it a natural look (high frequencies) and then convert it back to show you have discovered that … when you haven’t a clue what you are doing anyone can make data have cycles. I am really annoyed at this nonsense paper. People who have no clue how to interpret frequency graphs … have about as much knowledge of frequency as they have of Tocharian … shouldn’t be allowed to publish their childish gibberish nonsense. They certainly should be forced to do a basic course like electronics where this kind of analysis is (was) taught as a matter of course. It is about as useless as taking a sample of boulder clay and saying that the rocks in the boulder prove it is unusual because most of the sample is clay. Yes most of it is clay (by number), yes the graph of clay size will increase steadily only to descend into a mess when sampling boulder samples, because there are so few large grains (boulders) there is more statistical noise and/or bigger boxes (hence the way the graph spreads out on the right). Likewise, sampling frequencies. There are a lot more high frequencies in this kind of sample, so the graph starts smoothly from the left and then starts to get “grainy” to the right with wide-spaced highs and lows, but all you need to do is imagine the right side squeezed up as tight as the left, and you will see that it is a smooth continuum of noise. That could make tree rings a proxy for global cloudiness too. So if the level of solar activity affects the global air circulation and consequent cloudiness then that would turn up in the tree ring data. Pretty much squares the circle in my view. It would have been increased global cloudiness during weaker cycle 20 that reduced tree growth for a while and caused the apparent divergence problem. What does tree growth show since then ? I’ve been saying as much in my articles for several years. Climate swings could well be a consequence of solar and oceanic variability moving in and out of phase. However I think that on longer timescales the Milankovitch cycles are primarily responsible for the ice ages themselves whilst the sun/ ocean phasing variations would account for the climate variations within both ice ages and interglacials. I have previously suggested that relative climate stability during interglacials could be a consequence of a short period when sun and ocean cycles were largely offsetting one another to reduce climate variability. During glacial epochs the sun / ocean variations more often supplement one another to produce much greater variability. Due to current landmass distribution the sun / ocean phasing only results in relative stability for only about 10% of the time hence the approximate 9 : 1 dominance of ice ages for the past severqal million years. I have had that proposition in the public domain for several years now. Very much a reflection of my previous work but they have the sign of the solar effect wrong. Ozone above 45km decreased to give cooling aloft when the sun was more active and is increasing now that the sun is less active. See work by Joanna Haigh and others. Furthermore I have pointed out that the weaker more variable jetstream MUST be accompanied by stratospheric warming and not cooling because that is what pushes the jets more equatorward as witness the events observed in shorter term ‘sudden stratospheric warming’ events. So, the only scenario that fits observations is contrary to established climatology. The stratosphere must cool naturally when the sun is active and warm naturally when the sun is less active. It is because established assumptioins were wrong (and still are) that it was necessary to have recourse to the theories about the CFC effects on ozone and the CO2 effects on stratospheric temperatures. Only with those theories could the observations be accounted for. But if one simply reverses the sign of the solar effect above the tropopause it all becomes clear as to what is going on. It is very flattering for someone to replicate work you have done four years ago, and I thank you even though you are a warmer. I agree all that you say at May 21, 2012 at 2:18 am. However, with respect, I point out that you state the issue in so extreme a form that you risk ‘throwing out the baby with the bathwater’. True, and the human mind is very good at discerning patterns. Indeed, people can ‘see’ patterns (e.g. cycles) which do not exist. However, observation of apparent cycles can lead to hypotheses which induce study to determine mechanisms. Often the study reveals that the apparent cycles are merely random fluctuations, but sometimes such study leads to important knowledge (e.g. the mechanisms which create day and night, and the seasons). So, discernment of patterns has often led to fundamental scientific discoveries. And discernment of apparent cycles in climate is observation of a possible pattern in climate behaviour. Two such apparent cycles have obvious importance; viz. an apparent ~1,000-year cycle and an apparent ~60-year cycle. •	then cooled from ~2000 to the present. •	global temperature will start to cool towards temperatures of the LIA. Importantly, either of those outcomes would falsify the AGW hypothesis and would strongly suggest the existence of climate mechanisms which generate the cycles and, therefore, warrant investigation. – can you elaberate on the theory behind your “analogues”?. I have no idea what is meant here. Thanks a lot, Paul. I was looking for possible correlations to explain Piers’ work (which would be impossible if, as Pamela assumes, the weather oscillations were just oscillating freely without an outside controlling influence). This looks enormously important. This temperature differential between polar and equatorial stratosphere seems to be apparent in only one hemisphere at a time. The prediction in 1979 that it would cool until the mid/late 80s, then warm by ~0.3degC, the cool from 2000 is … Well, rubbish. Another prediction was made around the end of the 70s, start of the 80s. This one was not based on past pattern matching or speculative projections of possible solar activity. It was based on the measured rise in CO2 and the basic physics of the GHG effect. It provides a graph to show, from its perspective in 1980, when the predicted warming from CO2 will emerge from the ‘noise’ of natural variation by one and two sigma of statistical significance. It is MUCH more accurate than the prediction by Libby and Pandolfi. Of course I recognise that it directly contradicts many peoples beliefs about the climate, and provides no support for a prediction that ‘any moment now’ it will start cooling perhaps almost as fast as it has warmed for the last four decades. Have a close look at the graph in fig7. If you can overlay the actual land temperature data since 1950 and you can see just how good a prediction it is. If anything something of an underestimate, but not to the extent that Libby and Pandolfi got it wrong! I know. To be more specific what is required is warming of the stratosphere towards the poles relative to the temperature at the same height over the equator. Anyway, overall, there was stratospheric cooling when the sun was active and now with the less active sun that cooling has stopped and there may now be some warming. Please try harder. Your history of posts on WUWT shows you are capable of better trolling than your post at May 21, 2012 at 5:59 am. Global temperature has cooled since the high it had in 1998. Colder global temperature is global cooling; it is NOT global warming. And we have been warming from the Little Ice Age for centuries. So, of course, recent global temperatures are among the highest for centuries. This is like climbing over a hill: when you reach the top and start down the other side then all your next few steps are among the highest you have made, but you are not climbing up. I am sure that the concepts of warming vs cooling and up vs down are within your intellectual capability if you try. Not with a SSW, it`s only between one pole and the equator, and the warming goes lower down at the pole. ….groups replicate and update the Libby and Pandolfi work. no need. we can do it a lot simpler.Just replicate my work. after which average temps. will fall as well, quite dramatically. I am afraid this is bad news. “– can you elaberate on the theory behind your “analogues”?. Sure, and it is very based on observations rather than theory. Short term temperature deviations are correlated to heliocentric planetary configurations, then previous occasions when very similar configurations have occurred become analogues. For example the 1962/3 winter has analogues in winter 1783/4, 1602, and 829 and 1010 when the Nile froze. A slightly looser example happened in mid 2004, giving a very hard S.H. winter and noticeably taking a notch out of global temperatures. It is clear to me that it is due to short term angular relationships, rather than any solar barycenter/tidal effects. To add to what Richard said, see the following graphs from 2002 for 6 data sets. It shows the last decade and the thing to note is that the last 5 years of the past decade is, for the most part, cooler than the first 5 years of the decade. So it has been cooling for the past decade, despite starting off warm. On mechanisms which may cause cyclicity in the global climate? Easy! The solar system is full of big lumps of rock (and gas) going around the sun in regular orbits. And the solar system goes around the galactic centre on a geological time scale. Mosh was just having a little dig I reckon – which is fine of course, but sometimes the most basic of analysis can reveal the most interesting information – not seeing the wood for the trees and all that. anecdotal evidence of which you speak is indeed vital – but in keeping with past (and present – if we are talking CRU’s data!) weather/climate records, they must be tempered with a degree (excuse the pun) of common sense. I mean, for example, would someone who was writing a diary have potentially exaggerated their observations for appropriate artistic effect? anyway – I hope you enjoyed your day in Exeter. “The evidence for the cooling trend in the stratosphere may need to be revisited. I was stopped in a layby ‘somewhere in central Austria’ in late July 2009, having a hot cup of coffee because it was so bloody cold, when another motorcyclist rolled in (I was the first British biker he had seen since leaving Calais). He’d only just got away from the hotel (this was about mid day), because they’d been snowed in. July and August in Hungary last year was even worse. Thunder, lightning, torrential rain, landslides, floods, over 20 deg C cooler by day, and over 20 deg cooler by night (luckily I had taken a 4 season sleeping bag with me, and my tent held out), down to freezing. It was so bad, one day all of us on the site went to a local hot springs to warm up (that was absolute bliss!). It was so cold all across Europe (for example it was so cold going down through the Ardennes, I stopped and made coffee in a rest area, and even with thermals on, I was getting colder, so got moving again fast), that insect life was notable by its absence, until getting into Hungary (and that disappeared after 3 days, when the cold weather caught up with me). In something like 1500 miles, I didn’t have to clean my visor, the windshield, or the headlight, once. On the way back (late August), the only day I had with reasonable insect life, was on a single nice day touring around Luxembourg. If insect levels are going to keep being hammered like that, maybe we should all put some food out for the birds (I have this year, because round here, insect levels are very poor still)? Can anybody tell me what kind of Global Temperature we’re facing in the next ten years? This conclusion was based on decades of study, and a phone call to Dr. Tim Patterson, Carleton University Paleoclimatologist, who had studied natural warming and cooling cycles that he believed were related to the Gleissberg (Wolf) Cycle. 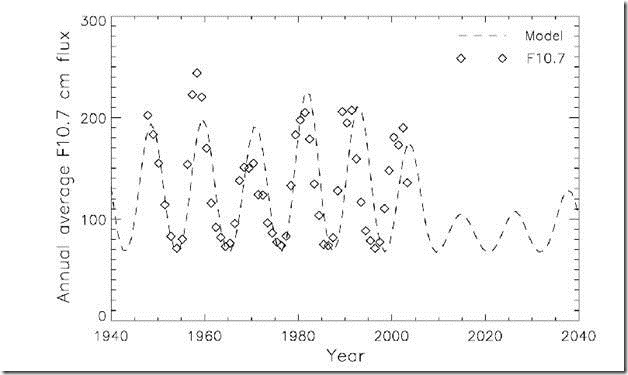 We were also aware of Hathaway’s now-failed prediction of SC24 peaking at Rmax ~160, and the prediction by NASA? that SC25 would be very weak. At the time, I was (and still am) unsure if the warming and cooling cycle were better related to the PDO than the Gleissberg – If it is the PDO, global cooling could commence sooner, perhaps about now. Recent information include the much-lower prediction of an Rmax of ~60 for SC24, and recent work, which I have scanned but not studied, on solar impacts on Earth’s climate. Accordingly, I have little choice but to hold to my 2002 statement – the next natural global cooling period will commence by 2020-2030. Caveat: It is possible we were “late” in this prediction, and that global cooling has already begun, but it is not yet serious or significant. Agreed, the consistent point is that trees are not measuring temperature (except indirectly) and the climate science methodology of selecting trees that correlate with temperature as a means of “calibrating” the trees is statistically bogus. It shows a level of gross statistical incompetence or outright fraud or both. Climate science shot itself in the foot by trying to hide the divergence problem. They assumed trees suddenly became an unreliable proxy for temperature because the trees were not showing what the climate scientists expected to see. Rather than question their assumptions and theories, they concluded that the fault was with the trees. That something had happened to the trees to make them unreliable thermometers. While in point of fact the trees were never reliable thermometers. Instead the trees were showing sensitivity to climate change, ahead of the thermometers. For example, place a pot of water on the stove and turn on the heat. What trees are measuring is the setting on the stove, not the temperature of the pot of water. After the pot of water is warm, turn off the heat. Again what the trees are measuring is that the heat has been turned off, long before the water cools. Had mainstream climate science seen the tree data in this light, then the divergence makes perfect sense. The current leveling in temperatures was successfully predicted by the tree ring divergence. The trees are not measuring temperature, they are measuring the energy source that drives temperature. They are not the same. Mainstream climate science completely failed to see this because they believed that tree rings were directly measuring temperature. Thus when the divergence occurred, they did not recognize the significance and incorrectly predicted accelerating increase in temperatures, while the trees were predicting the opposite. The trees were correct, while the climate scientists were not. Good idea. Burning dung is a sustainable energy source, in line with UN policy. In this complex case, I suggest that the best test of one’s scientific credibility is the degree to which one can accurately predict future global temperatures. How many of you are prepared to go on record with your best estimate? This is a good start (regarding Nicola’s 10Feb2012 post). I say there is zero probability of major global warming in the next few decades, since Earth is at the plateau of a natural warming cycle, and global cooling, moderate or severe, is the next probable step. In summary, I say it is going to get cooler, with a significant probability that it will be cold enough to negatively affect the grain harvest. Do you think a five year period is capable of showing a 0.07degC trend when the ENSO fluctuations cause variations of more than 0.2degC over a shorter period?! Both 1998 and part of the first half of the 2k decade were warmer El Nino conditions. The most recent few years have been one of the longest and strongest cooler La Nina conditions. I am sure that you would point out if I invoked the warming from an El Nino event as AGW. It is just as wrong to invoke La Nina conditions as evidence of some imminent cooling trend, one without any physical justification, just a lot of hand-waving about past patterns! The Texas weatherman has a good take on the difference between ENSO conditions, plotting them seperately is revealing….. It is Dirk — it’s at least on par with the discovery of the quasibiennial oscillation (QBO). May we all take a moment to feel a bit of humility in the face of nature’s beauty. Alarmists: Out of respect for our Mother Earth and our Father Sun, please join in. Study this curve carefully and you will see that around 1994 temps went down (negative/decline) as correctly predicted by me here whereas the green line from the IPCC still wants us to believe that it goes the other way (positive/incline). However my stats show that the decline in heat from the sun started in 1994/1995 so I am hoping that the Orssengo curve must go a little bit more to the left. Absolutes are not constrained in the same manner as differentials by the Law of Conservation of Angular Momentum. “In automobiles and other wheeled vehicles, a differential allows the driving roadwheels to rotate at different speeds. This is necessary when the vehicle turns, making the wheel that is travelling around the outside of the turning curve roll farther and faster than the other. […] If the engine is running at a constant speed, the rotational speed of each driving wheel can vary, but the sum (or average) of the two wheels’ speeds can not change. An increase in the speed of one wheel must be balanced by an equal decrease in the speed of the other. If the absolutes are in lockstep with the solar cycle as you claim, you will be able to demonstrate this convincingly with a single graph and no words. 200 years in the lifespan of the sun is little more than nothing in time. That the sun would be keeping such a schedule seems unlikely to me. What about an 11-year cycle? Do you think a five year period is capable of showing a 0.07degC trend when the ENSO fluctuations cause variations of more than 0.2degC over a shorter period? !Do you think a five year period is capable of showing a 0.07degC trend when the ENSO fluctuations cause variations of more than 0.2degC over a shorter period?! No, but so what? Your question has no relation to the issue which you raised and that Werner and I each answered. I pointed out that global temperature has not again risen to the high it had in 1998 so there has been global cooling (n.b. not warming) since then. And Werner pointed out that the first half of the last ten year period was warmer than the second half: i.e. the most recent data indicates the globe is cooling. Do you think a ten year period is capable of showing a 0.07degC trend when the ENSO fluctuations cause variations of more than 0.2degC over a shorter period? !Do you think a ten year period is capable of showing a 0.07degC trend when the ENSO fluctuations cause variations of more than 0.2degC over a similar period?! Or are you trying to be deliberately obtuse? I’m with Pamela. Whenever I start hearing about 200-year cycles and such, my skeptic side starts to kick in…..
You might try reading what Richard Feynman’s sister Dr. Joan Feynman has to say about her research on that. So wiggle matching is a first step. Several scientists such as Alexander Ruzmaikin, Joan Feynman, Yuk Yung, (above) John Eddy, Alexandre Joukoff, physicist Richard Willson, and Henrik Svensmark to name just a few are working on the problem of how the sun varies and what effect it has on climate. The links attached to the name are brief articles of what is being done. Is the “Jury In” of course not. Climate science is an infant science and that is why CAGW is so bad at this time. It stifles the creative thinking necessary for quick advancement. I agree your post at May 21, 2012 at 1:03 pm. Indeed, I applaud it. Please see my post above at May 21, 2012 at 4:21 am which says much the same as your post. 1. This last La Nina is NOT the warmest La Nina in the last 16 years. 2. The virtually flat line (slope = 6.85126e-05 per year) extends for a period of 15 years and 6 months since November 1996. 3. The flat line starts and ends with a La Nina so there was no cherry picking here. 4. CO2 went up steadily while the temperatures stayed flat. The path of ignorance &/or deception has become untenable in the light of crystal clarity. You keep on posting this figure which looks like my childrens´ game of connect-4 but dont explain what quantity is represented by the blue-red colour scale. What is it? Is it global temperature anomaly? What does the pattern mean or predict? Where does solar come in? I´m guessing that the direction of the diagonal red / blue connected lines implies warming or cooling. 4 in a row and its game over, change of direction? Thanks – he does write well. It was the level headedness of the odd post here and there by engineers which helped me sort out the arguments when I first began looking at the discussions about backradiation, reminding me of stuff I’d been taught but hadn’t thought about for yonks. On my list now, I could practically taste them. Interesting area of research, I’ll have to explore this further. It seems the Russian Academy of Science agrees with David Archibald’s post. Global warming is coming to an end: In the coming years the temperature over the entire planet will fall and the cooling will provide a character of relief. This is the conclusion reached by Russian scientists from the Physics University of the Russian Academy of Science. The process of a general temperature decrease has already begun, according to the research. After having peaked in 2005, the average temperature on Earth is now returning to the level of the 1996-1997 years, 0.3°C lower. “Inadmissable”? You sound like a Soviet apparatchik. Pamela is pointing to something which I agree is a key part of climate dynamics, which is, (to temporarily borrow your own blogging prose style) the emergent neo-Hopf bifurcation pre-chaotic non-equilibrium / nonlinear pattern formation inevitable in an open system far from equilibrium which is dissipative with frictional damping causing pattern-forming tension between positive and negative feedbacks. The result, as any 2-year-old can see, is a probabilistic landsape of Lyapunov-stable stange attractors linked by thermodynamic saddles or valleys (or possibly tunnels). Glacial and interglacial are the two most obvious such attractors. So its not astrophysical forcing OR internal pattern dynamics, but both – a nonlinear oscillator (or set of such oscillators) periodically forced and balanced somewhere on the boundary between strong and weak forcing. Thats what makes wiggle-matching so frustrating but at the same time fun. Thanks Mods – stars all. Thank you Stephen – and for your post in the last discussion. All still above my paygrade, but have been drawn into it through that Maya connection, and I’d really like to understand it so will follow up on your lead. Many thanks. The CIA report has opened up another line of inquiry. I don’t interpret that chart the same way as you. The downward slope in the last section is only apparent as a result of the second of the two volcanic spikes artificially elevating the stratospheric temperature at the beginning of the final section. If one ignores that there has been little or no stratospheric cooling since the late 90s. Furthermore I am not satisfied that that chart is adequately comparable with the charts in the 2009 paper that I linked you to. Phlogiston if your going to say things like “The result, as any 2-year-old can see..” then perhaps you might not want to be so “ses·qui·pe·da·li·an” (it means given to using long words for anyone who doesn’t know) in the manner in which you post. You might be spot on with what your saying, I can’t really tell, but very few people are likely to understand what your trying to communicate given the manner in which you’ve worded the entire post. “The result, as any 2-year-old can see..” just makes you sound like an arrogant jerk. Yes Paul we have OBSERVATIONAL DATA. That is why I linked to Dr Joan Feynman’s study of aurora and Nile river records “collected between 622 and 1470 A.D” If you look at the Millancovitch cycles we have not only a good wiggle match but a mechanism explaining the reasons behind the cycle. However when we talk about the shorter term cycles the theories (physics) behind the observations is still being researched. There are at least four or five different ideas about how the sun and climate are connected floating around WUWT over the past few years. Henrik Svensmark’a Cosmic Ray/Cloud theory being the top contender at the moment with the most experimental data backing it up. However you still have to account for the behavior of the oceans- AMO, PDO, ENSO… and the atmosphere, that is the jet streams, rossby waves…. And that does not include the influence of land masses. The uplifting of the Carribbean plate and the closing of the Isthmus of Panama is thought to have changed ocean circulation enough to have initiated the Ice Ages for example. As I said it is still an infant science and darn complicated. We have learned a lot but there is still a lot more to learn. Spending thirty years stuck on CO2 as the “control knob” of climate was a real waste of time, effort and money. ….Pamela is pointing to something which I agree is a key part of climate dynamics, which is, (to temporarily borrow your own blogging prose style) the emergent neo-Hopf bifurcation pre-chaotic non-equilibrium / nonlinear pattern formation inevitable in an open system far from equilibrium which is dissipative with frictional damping causing pattern-forming tension between positive and negative feedbacks…. Very interesting 1997 paper – thank you Paul. Dickey, J.O. ; & Keppenne, C.L. (1997). Interannual length-of-day variations and the ENSO phenomenon: insights via singular spectral analysis. See figure 3a & 3b (pdf p.24 & p.25). Spending thirty years stuck on CO2 as the “control knob” of climate was a real waste of time, effort and money. No truer words were ever spoken. And humanity will pay for it big time. Thanks Henry – I hope to God you are right and I am wrong. In your scenario. life goes on with some moderate net warming, and humanity and the environment will survive just fine. In my scenario, there is an 80% probability that Earth is cooling, and a 40% chance that the cooling will be severe enough to reduce the global grain harvest. Can you provide a reference that supports your predictive track record? See our Rebuttal and the eight points we made in 2002. I suggest we score 8/8. You can both be correct. See my reply to DirkH. I sense your confusion loud & clear on how ENSO & multidecadal variations relate to the solar-terrestrial weave. Put that aside for a minute and go back to the simple basics of the terrestrial year. First, concentrate on understanding equator-pole gradients and their effects on semi-annual winds. Let me know if you understand this much before we try to go any further. The Libby and Pandolfi “prediction” does not make a falsifiable claim about the unobserved outcome of a statistical event, hence is not an example of a prediction. You’re very welcome. It’s an important paper. The quality of discussion here would be much uplifted if everyone would take the time to carefully digest that paper. It was meant sarcastically, as I said at the top of the the post ” to temporarily borrow your own blogging prose style”. A dangerous thing to do in a blog, should have ended with /sarc off. The ~~4 year cycle in this 1997 paper is associated with a lag of atmospheric CO2 after atmospheric temperature T of ~9 months, and the rate of change dCO2/dt varies ~contemporaneously with T. This CO2 cycle is caused by biological (photosynthesis, etc.) and physical (shallow water dissolution and exsolution) factors. Then there is the much longer ~~800 year lag of CO2 after T (as measured I ice cores), which I suspect is associated with the upwelling of deep ocean currents. Note that ~800 years ago was the Medieval Warm Period. It appears that CO2 lags temperature at all measured time scales. Each temperature cycle has its own CO2 delay, and its own approximate period (cycle time length). There may also be one or more intermediate cycles between the above two (the late Ernst Beck believed there was), and other shorter cycles. I think there is ample evidence of a daily localized cycle, driven by photosynthesis.. The evidence suggests that varying atmospheric CO2 is not a cause of climate change, it is an effect. I further believe that humanmade CO2 emissions are relatively small compared to natural daily, weekly, seasonal and millennial CO2 flux, and are probably insignificant in this huge dynamic system. No small irony here – if I am correct, both sides of the rancorous “mainstream” global warming debate are wrong. Both sides assume that humanmade CO2 is the primary driver of temperature, and are only arguing about the amount of warming (climate sensitivity to CO2, feedbacks positive or negative, etc.). If I am correct, both sides of the mainstream debate have “put the cart before the horse”. I think Veizer (2005, GSA Today) already understood most of this. The serious consequences of this debate are the debasement and corruption of science, the sabotage of electrical grid integrity by wind and solar power schemes, the huge conversion of food to fuel, and the squandering of a trillion dollars of scarce global resources on a non-issue. These unfortunate consequences can only be blamed on the warming alarmist side of the mainstream debate. If the wind anomaly is not lunisolar neutralised, do you still get the weave pattern? If not, then could the weave be an artefact of this correction? In your link the graph stops at 2006 and it is the same data. Put that aside for a minute and go back to the simple basics of the terrestrial year…. Having said that, see if I have the explanation of each of your graphs correct. #1. Show the wind speed is highest at approximately 30N & 30S though it varies slightly. #2. The strength of the wind builds as the season progresses. #3. The strong winds switch from the northern to the southern hemisphere with the change in seasons. #2. The red shows strong downdraft? that is wind returning to the surface while the blue shows strong updraft? #3. The updraft (blue) switches hemispheres with the seasons and moves towards the equator as the warm season advances. #4. The down drafts (red) switch from the Arctic to the Antarctic with the switch in seasons. #5. The winds also move up and down within the atmosphere so that the winds around the equinoxes are closer to the surface and the winds during the solstices are further up in the atmosphere. I know Roy says that curve is for ‘entertainment purposes only’, and I am entertained. If one takes that curve and plots it +/-.3°C relative to the original curve, I find even more entertaining. The serious consequences of this debate are the debasement and corruption of science, the sabotage of electrical grid integrity by wind and solar power schemes, the huge conversion of food to fuel, and the squandering of a trillion dollars of scarce global resources on a non-issue. These unfortunate consequences can only be blamed on the warming alarmist side of the mainstream cliamte debate. IF imminent global cooling is severe enough to reduce the grain harvest, humanity, with its preoccupation with mythical manmade global warming, will be woefully unprepared. During the Maunder Minimum circa 1700, widespread starvation claimed the lives of many millions worldwide. While we have better transportations systems today, there are many more mouths to feed. It seems to me we should be conducting emergency research on frost-resistant crops, and amassing stores of grain rather than burning it in our gas tanks. Unlike the nonsensical schemes of the global warming fanatics, my proposals cost much less and have few downsides. Use +/- 0.2 degree and I think you’ve got a more valuable addition to the good doctor’s attempt. What needs be emphasized is that your +/- 0.3 variation in month-to-month temperatures, or my recommended +/- 0.2 natural (measured) variation, shows that ALL past proxies in ALL studies for temperature need to ALSO apply the same month-to-month random variation: Therefore, any conclusion or any trend or any extrapolation in behavior for corals, bleaching, mountain goats, or beard-lengths cannot be made unless the change being studied has at least 2x (or 3x) the change in temperatures of 0.3 degrees. Ulric, the paper I referred you to deals with several levels in the stratosphere and shows a clear if small warming at certain levels following an earlier period of cooling. The chart you provided is limited to levels affected by volcanic activity which is lower down only. I don’t know why you are so determined to pick at the peer reviewed evidence I produced without a more convincing tale to tell. I assume you just wanted to know where the Orssengo curve came from. must be shifted a little bit to the left. I don’t think we are all doomed just yet…. but I am very interested to hear/see exactly what was/is your prediction for global future temps. We’ll be able to have a more productive exchange several weeks from now. Gail, I sincerely appreciate your interest. I must divert my attention to paid work now, but I look forward to discussing things further as the weeks, months, & years unfold. Best Regards. I don`t why you bothered to present such out of date data, you can`t tell me that there is currently a warming trend with a series that stops 6yrs ago. It`s the same data in both of them. Obviously it matters where you start the trend from, and your link has the warmister trick of starting at a particularly low point. Why not make the trend from `95 instead ? IF imminent global cooling is severe enough to reduce the grain harvest, humanity, with its preoccupation with mythical manmade global warming, will be woefully unprepared…..
Only one part of humanity will be woefully unprepared. Since the 1995 World Trade Organization Agreement on Agriculture was written by the VP of Cargill, Dan Amstutz, the large multinational food cartel has been working on a food supply monopoly. link I have been watching it evolve for over ten years. Now the situation has evolved to the world wide land grab. At this point I agree with Doreen Let them EAT GRASS! I prefer that paper to Willis’s rather coarse diagram. Even in Wilis’s diagram the last few years has been pretty near flat so updating it would make no difference. The stratosphere stopped cooling when the sun started to become less active following the peak of cycle 23 and thus far cooling has not resumed. Joanna Haigh and others have reported increased ozone above 45km which implies warming at that level and above despite the quiet sun. That unexpected finding is the subject of ongoing investigation. The seeming intensification from 1980 to 2005, yes – correlates with more energy in the system. But Willi’s hypothesis can’t explain the checkerboard pattern. During each 11 year (normally) solar cycle ONE polar reversal of the sun’s field happens. It takes 22 years (normally) to return to the same configuration. Now consider the Earth and the Sun as two parallel magnets. When one point up with its N pole, the other down, the “magnetic field lines” (which are not REAL entitites but lines that we draw to help us figure out the structure of the fields) can form half-circle-like curves, going from the S pole of the sun to the N pole of the Earth. Now flip the “Sun” magnet. Suddenly the field lines can’t “close” like that anymore but “repel” each other. So, the shape of Earth’s magnetosphere must be quite different in one solar cycle as compared to the next. This, in turn, affects the trajectories of charged particles (who travel along spirals around the “field lines” – it turns out the “field lines” are approximations for the trajectories of charged particles; so, the lines don’t really exist but when a jet of charged particles travels along one and emits light we can see the “field line”; as we do in solar eruptions). Now you might say, like Pamela, but these are only small energy quantities – yes, granted, but consider that compared to the total thermal energy of the Earth a lightning bolt is a small amount of energy but nevertheless 50 lightnings a second create the Schumann resonance in Earth’s ionosphere; or that electrons with relativistic speed whirr around the Earth all the time (a problem for electronics in certain orbits); that the electrostatic field of the Earth is 100 V/m (Earth itself is negatively charged), about 500,000 V up to the stratosphere, and that cloud droplets are electrically charged. Maybe, temporarily, as we approach solar max but I am looking at multidecadal timescales. I have more faith in the satellite data than the surface temperature data. The large El Nino temperature spike of 1998 can strongly impact certain types of analyses. Global cooling may have already begun – it is difficult to say, but it is not severe yet. My predictions are subjective, but in truth, so are everyone else`s. Climate science is still in its infancy, and the predictive record of the average mainstream climate scientist (who has predicted global warming, either severe or moderate) is utterly abysmal. Almost nobody was predicting flat or cooling global temperatures a decade or more ago – almost all climate scientists` predictions were for varying degrees of global warming. Theodor Landscheidt was a notable exception, publishing in 1989 his prediction of severe global cooling peaking in about 2030. I made my first global cooling prediction in an article published in 2002. I do not recall if I had read Landscheidt at that time – my primary source was paleoclimatologist Tim Patterson of Carleton and his observations of natural warming and cooling cycles. My fundamental premise is that despite increased combustion of fossil fuels, natural cycles still prevail, and there is nothing new under the Sun. 1) My prediction is at…. 2) I don’t. First of all they only report on means or average temps. and I know that that is not a good variable to look at. Earth has hidden a lot of energy in the oceans, in the vegetations, in the hydrological cycles even in the weather. Rather look at maxima which gives us much more information as to how much heat is coming from the sun. Further I am not sure how all latitudes and 70/30 sea/inland are represented and balanced as I have done in my tables. 3rd It seems nobody can tell me the accuracy and precision of that equipment on board of the satellites (UAH, Hadcrut, GISS, etc. )and how often it is calibrated. Even looking at the BEST Surface data, they only looked at means (average temps) which according to my table has only fallen 0.2 degrees C or K since 2000 which is not a lot, yet. In fact you could still say it is still flat. However, from the fall in maxima I can accurately predict that we are falling at about 0.2 degrees per annum and soon it will drag the means with it. I’m glad you liked the postings. It is very gratifying to know it was worth doing. That someone enjoyed or benefited from it. There was a tremendous down spike at 8,200 before present. Then we have ripples after it. I’m pretty sure the ‘plunge into the glacial’ doesn’t happen for a couple of thousand more years, but that we likely have another Bond Event in the middle. Is there a solar component too? Could be, but hard to tease it out. The same orbital resonance effects cause the same actors to be in similar positions at the same times to “causality’ can’t be assigned from a ‘wiggle match’ on cooincidences. A similar problem exists with the volcanic coorelation. Basically “they all come together when they come”. The one thing that is VERY clear in all of it: Those wild swings of the past had nothing to do with human activity nor with CO2. A couple of articles, the first from Wood’s Hole including info on cores showing abrupt starts to ice ages and the second just for the sigh what will they think of next..
Paul, I cannot understand this graph. It seems to have the same parameter on the right side Y-axis as on the X-axis, which is less compressed. The colours are not labelled so we do nor know what they are. If they are some form of energy, then we seem to be getting two summers and 2 winters a year along the X-axis. Now, I like the algorithmic beauty of mathematical art, but could you please help out a little? Steven – Joanna Haigh makes no sense whatsoever, to me. What she is is a product of the fake fisics created to promote AGW and so thinks that visible light heats the Earth’s surface [the shortwave in longwave out meme], visible light is incapable of heating land and oceans, physically incapable. It cannot move molecules of matter into vibrational states which is what it takes to heat matter. It works on an electronic transition level, not on atom/molecule vibrational level. Besides which water is transparent to visible light, it simply passes throught, is transmitted, without being absorbed even by the electrons of the molecules of water – unlike the atmosphere where visible light is absorbed by the electrons of the molecules of nitrogen and oxygen, which is what produces the blue sky, it’s called reflection/scattering as visible light is bounced around the sky. What it takes the heat up land and oceans is Heat, not Light. Heat from the Sun is thermal infrared, this is what is powerful enough to heat water and land, because it moves the whole molecule of matter into vibration, kinetic energy, actually heating matter. The heat you feel from the Sun warming you up is thermal infrared, you cannot feel visible light as heat because it does not heat you up. So a couple of things about her research, firstly that she is assuming an increase in visible is creating a warmer Earth which is physical nonsense, and that she is claiming the Earth has been warming in the three year period of this study, when it hasn’t been afaik, so her conclusions are gigo. What I think is happening with the Sun is that as it is cooler the UV production is down because it takes higher temps in the Sun to produce it, so visible increase merely the limit of what the Sun can produce at this time, but the study is as I’ve explained nonsense because it has excised the direct heat from the Sun, thermal infrared, so pretty much useless information. How she can claim that the Earth is getting warmer against what is actually known is because a) the meme is to keep saying the Earth is continuing to warm and she has simply gone with that in b)associating it with the meme that more visible means more heating power arriving with us. Haigh’s team compared SORCE’s solar spectrum data with wavelengths predicted by a standard empirical model based mainly on sunspot numbers and area, and noticed unexpected differences. The amount of ultraviolet radiation in the spectrum was four to six times smaller than that predicted by the empirical model, but an increase in radiation in the visible wavelength, which warms the Earth’s surface, compensated for the decrease. This reminds me of the AGWSF trained scientist who went to prove that methane in a mine wouldn’t separate out because the meme is that these are ideal gases, without volume, weight or attraction, and spontaneously diffuse into an atmosphere which is physically empty space by bouncing off each other and not the real atmosphere we have around us which is the heavy fluid ocean of gas, Air, which has volume, attraction and gravity, and so molecules have weight relative to each other as water vapour being lighter rises and carbon dioxide being heavier sinks displacing Air. He’s probably still puzzling why his experiment failed, the methane being lighter than air separated out.. So, my thoughts about her study – it looks like sunspots then are simply a result of the build up of thermal energy levels in the Sun, the eruptions the manifestation of this as the Sun throws off the excess – is there any research on the reason why the Sun periodically builds up this internal thermal energy? I agree that Joanna Haigh et al have got stuff wrong but I’m referring only to the simple observation that the ozone quantity variations above 45km are the opposite to what was expected. That simple discrepancy from the established climatology enables us to explain the observed shift in the climate zones from changes in solar variability and thus cast doubt on the theories that involve CO2 and CFCs. The climate zone shifts can arise either from a warming troposphere (from more GHGs) or a cooling stratosphere (from solar effects on ozone amounts). The climate establishment thinks it is the former whereas I think it is the latter. I have used UAH satellite measurements and to a lesser extent Hadcrut3 surface temperatures – most of my detailed work ended in ~2009. I’m sorry I can’t be more specific but we’re talking about over 25 years of work, and the conclusions are still highly subjective, imo. 1. I’m willing to admit my conclusions are subjective. Having said this, I’d really rather be wrong about imminent global cooling. I don’t have Antarctica in my sample as (I think) somebody is hiding the raw data but I suspect it would even show more cooling becoming evident from there. People would do well to take note of my results, as the drop in global temperature as shown in my table for Means (=average daily temperatures) of 12 x 0.019 = 0.2 degrees C over the past 12 years has been steeper than what I would have expected from the observed drop in maxima. The observed cooling trend could still accelerate further. In fact, if the plot y= 0.0455 ln(x)-0.1273 (r2=0.997) holds true, and by taking it to the present time, it can be shown that we could already be cooling by as much as 0.2 degree C per annum on the maxima. It also appears from the results in my tables that earth’s energy store is big, but it looks depleted now and earth’s temperature is now also dropping, at least at the same rate now than the drop in maxima. So my prediction is that earth is now cooling by about 0.1 to 0.2 degrees per annum. I am also hoping it is found not to be true: periods of cooling in the past have usually been associated with crop failures and subsequent periods of poverty and starvation. But I cannot put my head in sand hoping that these results will simply go away. By checking the results at your local weather station you will be able to pick up on the particular trend in your own area and make the right decision on whether to sow or not to sow…. Buying some extra warm cloths is on my shopping list for today.